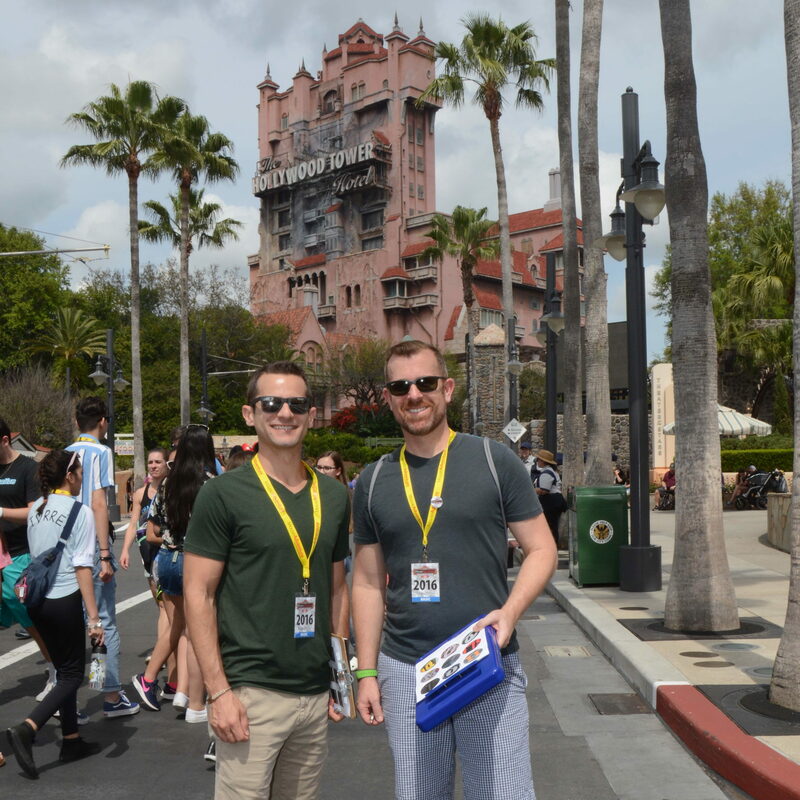 On March 9, 2019, MouseAdventure returned to Disney's Hollywood Studios to pay homage to the dearly departed attraction, The Great Movie ride. It may be a while before we return to this park once the hordes descend for the opening of Star Wars Galaxy's Edge. Temperatures were on the high side for this time of year, with clear skies until late afternoon when clouds began to form. Teams met up at the entrance to the park in the morning for a kickoff, then entered the park for the morning portion of the event. 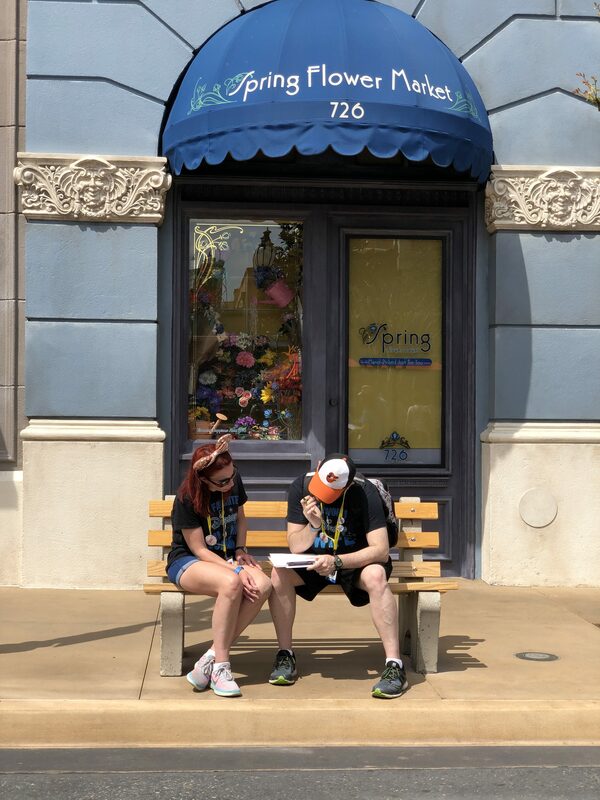 Six quests, an eye spy, and a team photo challenge filled the morning until 1 p.m. when teams turned in and had a one hour break to make it over to the Pop Century and Art of Animation Resorts for the afternoon challenge. 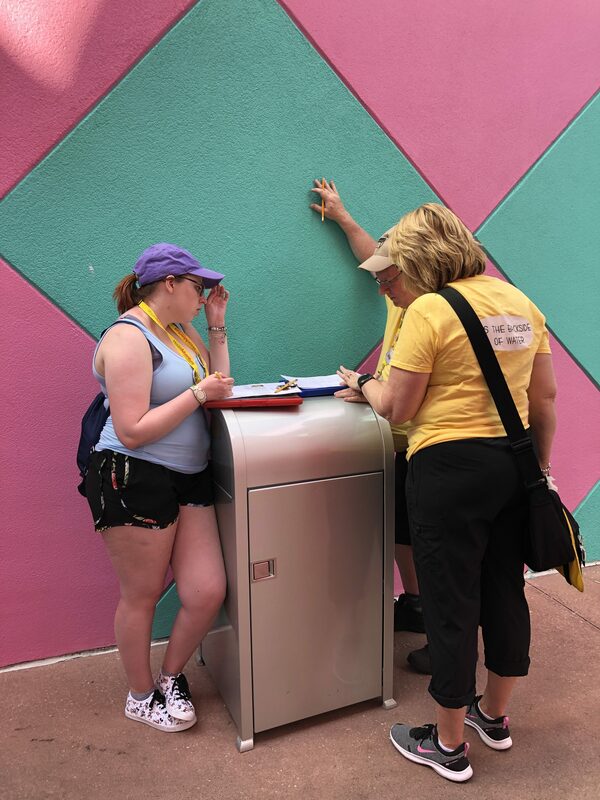 At 2 p.m., teams lined up on the Generation Gap Bridge between the resorts to receive their second packet of the day, containing six more quests, another eye spy, and trivia. Game play ended at 5:30 p.m., and teams went off to relax and eat while the Third Gate Games team graded and scored. A post-game recap at 10 p.m. offered players the chance to ask questions and mingle before the top teams were announced. Players found their way to Toy Story Land to search for toy blocks with pictures on them that matched the provided images. Teams identified the image on the opposing side of the block, and filled in the word in the provided boxes. One letter from each word, located in a highlighted box, spelled out the final question. The Scrabble tiles at the restrooms spell out "restrooms," which equals 11 points, plus the W at the water fountain, which adds another 4 points to the total. Walking up Hollywood and Sunset Boulevards, teams paid close attention to the architectural details given to them on the quest page. Players placed the pictures in order as they passed them, and also noted whether the location was on their left or right side. Teams used the column of letters from the left or right side of each image to place into a provided grid, which spelled out the final question. Teams searched inside Star Wars Launch Bay to find numbers associated with a variety of pieces of hardware from the Star Wars universe. Once all the numbers were filled in, they provided the key to locate the proper letters from a provided grid of letters. Counting a letter from each single digit starting at the top left and working their way down and back to the top, teams spelled out the name of an item. Exiting through the gift shop, teams located the price of the item, that is located next to the shop window. Grand Avenue stretches from the corner at BaseLine Tap House all the way down into the Muppet area (currently dead ending due to Star Wars construction). Teams scoured the stores, storefronts, windows, and walls to complete the sets of data with which they were provided. Once they located all the missing words, players eliminated the letters from a provided list to be left with 11 letters remaining. When unscrambled correctly, they spelled a single word that was paired with two phrases that completed that set. The answer to this quest was located on the window of the music shop at the corner nearest the future Star Wars entrance. One of the most challenging items to find was the set on drawings in a window of the dress shop. Snakes, why’d it have to be snakes? Looking around Echo Lake, and through Indy’s dig site, teams located fifteen pictures with words that had slithered off, taking their sets of double letters with them. Following the snakes from the images at their tails down to their heads, players moved backwards and/or forwards through the alphabet from those double letters to determine the letter associated with that color snake. On the front of the quest page, teams then used the colored snake heads to decode the final question. Construction on the Keystone Clothiers shop eliminated one of the items used while writing the quest, so a new image was provided in the errata. Teams followed a Yellow Brick Road (of sorts) to arrive at the final question for this quest. The celebrity concrete impressions in the forecourt of the Chinese Theatre provided the data as well as the pathway. Teams answered true/false questions about some of the squares to determine the proper directions for their path, as well as the letters to index from the name they landed on at each stage. Once they had all the correct answers, teams started at Mickey Mouse's footprints and proceeded around the forecourt to spell out the final question. An error in the spelling of Ann-Margret's name in the team's notes required some quick errata dissemination during the game to provide the proper letters. In concert with having just over three hours to solve all the above quests, players also had to find nine Eye Spy locations throughout the park. Provided with one letter from each (to spell Hollywood), teams had to identify the full word that each letter came from. 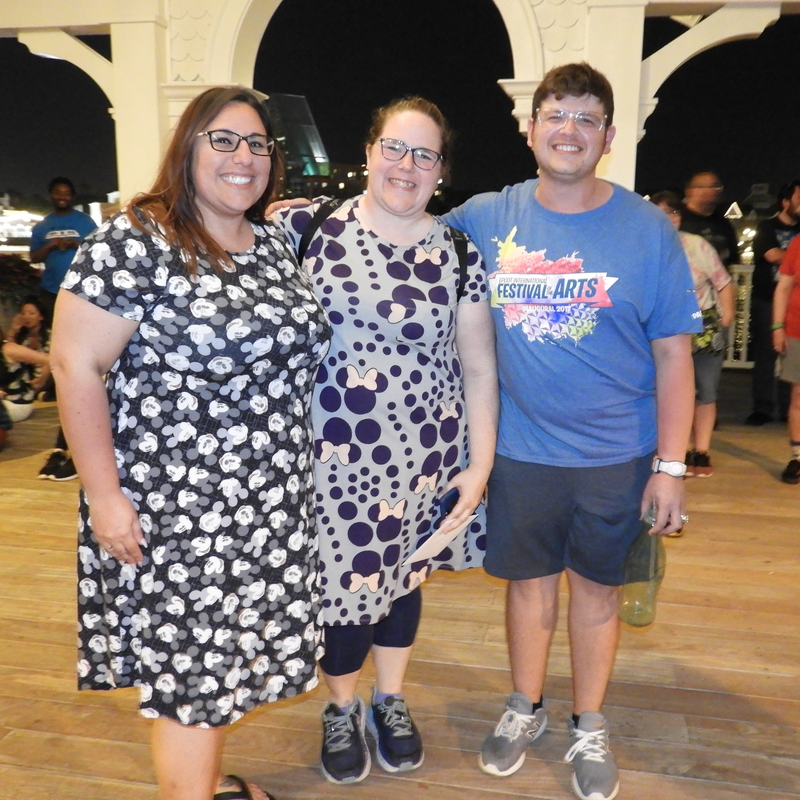 A great way for teams to remember their wonderful time at MouseAdventure (and score ten easy points), the team photo challenge also allows Third Gate Games to have a fall-back image when the official photographer produces blurry pictures of the winning team! All of the images from the PhotoPass cards have been uploaded to the Third Gate Games gallery. The game in the Park ended at 1 p.m., and re-started over at the Art of Animation and Pop Century resorts at 2 p.m. Not only did this give teams an option to find a bite to eat, but it also made for a much more mellow afternoon of quests in the expansive grounds of two very well-themed resort hotels. In the Art of Animation lobby, there are 60+ visual development concepts reproduced on the wall from teh four films represented at sections of the resort. Teams matched the provided images on the quest page to images from The Lion King on the wall. Given a horizontal representation of the lobby with four letters assigned to each of the 60+ pieces of art, players then used the letters associated with the fifteen images to decode the final question. Inside the Ink and Paint Store just off of the Art of Animation lobby, a selection of colored jars winds its way around the top of the shelving. A column of letters was provided below each color of paint pot on the quest page. Teams moved from top to bottom and left to right, choosing a letter below each appropriate color as they progressed. Once complete, the decoded colors revealed the final question. 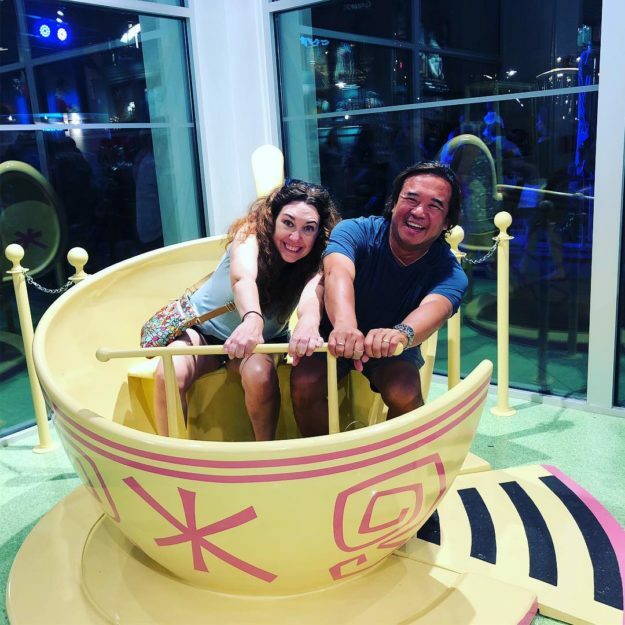 The Pop Century lobby contains a wealth of pop culture artifacts in cases and on shelves, many related to song and dance. The items are grouped by each decade represented at the resort. Given a clue about the desired information, teams located each item and filled in a crossword. Highlighted boxes indicated the desired characters to place in numerical order in order to solve this quest. The instructions told teams to write down the large word found at the top of the building above the decoded location. For teams interested in taking a leisurely stroll around Hourglass Lake (the body of water that separates the two resorts), this quest provided the proper excuse. Signs around the lake reference facts from different years (on the Pop Century side) or facts about animated films (on the Art of Animation side). Text from seventeen signs was reproduced on the quest page, but with key words missing. Once all the words were found, players had to then find them again in a word search. The remaining letters formed the final question, which in this case was in the shape of a clockwise spiral. Searching around the Art of Animation Cozy Cone Pool, teams located a variety of signs, stickers, posters, or other items with words removed from their images. Once the words were recorded on the quest page, each word had one or more symbols for certain letters. When the letters were placed in their appropriate spots in a provided grid, that grid become the decoder key for the final question. Players used coordinates in the grid to decode the question. The final answer was located on the "clock radio" of cones inside the window of the Cozy Cone hotel lobby. This quest was written and photographed during an enthusiastic rainstorm, so many of the photos featured additional “water texture.” When the Third Gate Games team arrived to check all the pieces of the game, we discovered that Disney had removed Luigi and Guido for maintenance. The image was swapped out in the errata page. Over at the Pop Century resort, players had to survey the 1950s building for a variety of 45 rpm singles attached to the outside railings. After recording the title of the songs requested from the given artist's name and side (A or B), teams headed to the massive jukebox to determine where that song was located in the jukebox. Using the letter and number of the song location, teams located the first instance of that letter in the song title and then counted over the number of letters from that letter to decode the final question. When this quest was written, there was no singing, but there was a lot of rain. Umbrellas were deployed and almost blown away! Teams had three and a half hours at the resorts to work on quests, and they also had to locate nine Eye Spy locations. Spelling out Art and Pop, players had to identify the full word that letter came from. The hidden quest is like Fight Club. The first rule of the hidden quest is that we do not talk about the hidden quest. Not every MouseAdventure has one, but when they do, it’s always exciting to see how many teams are able to find and solve them. The introduction to each quest, all themed to movies from the Great Movie Ride, listed the year each movie was released. 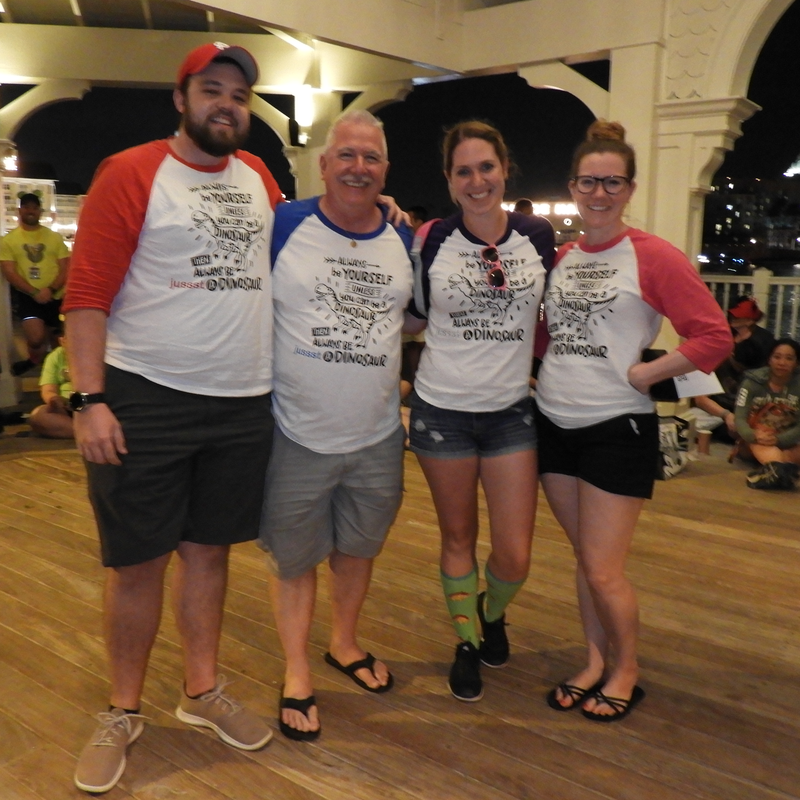 Each team was given a movie ticket at turn-in at Disney's Hollywood Studios for redemption at the resorts to pick up their second game packet of the day. Numbers around the border of the ticket were the key to decode the final answer. The first two numbers were the year of release of one of the 12 movies from the ride and quests. The number after the line was the indexing number. Counting into the movie's title spelled out the final question. Full results are available on the MouseAdventure website. The total possible points for this game was 670, including the hidden quest, which 5 teams correctly answered. A Masters team is a team that has placed first in 3 events, and has been retired from competition. Although not eligible for any prizes during non-Invitational MouseAdventure games, Masters teams return to set the bar for other teams to compete against. They play mainly for bragging rights and the thrill of the puzzle hunt. We try to capture the fun of every event by catching photos of as many teams as we can during the game. All the images we took are in our Third Gate Games candid gallery. Congratulations to the two winners of our #MAMovies photo contest: twitter user @codyflowers and Instagram user @uwinsc. 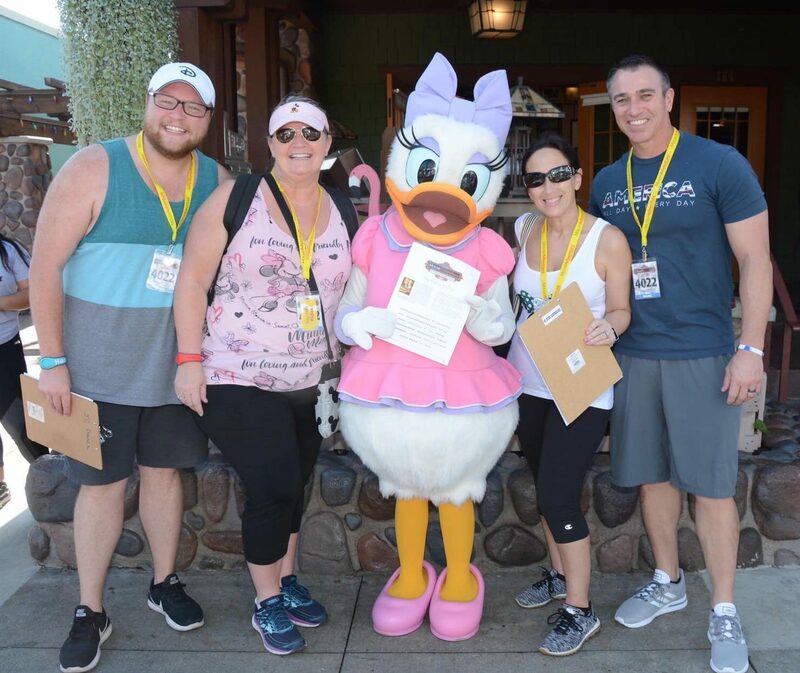 Players uploaded photos showing their MouseAdventure spirit to twitter and Instagram after turning in their answer sheets for a chance at a prize. Thanks to our awesome teams for coming out and playing the game. At this event, we had players from 11 different states. We'd also like to thank Katie and Tommy Metzger for writing the trivia. This MouseAdventure was brought to you via a lot of soft serve ice cream, coffee, some incredible cookies, and a lot of laughter. If you enjoyed the event, please share with friends you think might like to play in the future! Let us know what you thought of our event by taking our survey. Your feedback helps us improve!